I finally had the time on my journey to Big Bad Con to sit down and read a book. I took F. Wesley Schneider’s Pathfinder Tales: Bloodbound with me on the plane as it is a long journey with several layovers. This ensured plenty of time to immerse myself in the realm of Ustalav. I am so glad that I did as I thoroughly enjoyed this book. I have mentioned repeatedly that I am a fan of vampires and other monsters and this book features vampires, dhampir, priestess of the goddess of death, and many other features of Gothic horror. I was in heaven. Bloodbound follows the story of two heroines. Larsa is a dhampir, half-vampire, special agent of the prince of Ustalav. Her job is to maintain the tenuous peace in the city of Caliphas. She is an enforcer of the treaty between the ancient vampires of the city and the human nobility. The vampires are allowed to live in an undercity and thrive but their spawn must not upset the citizenry. When this happens, Larsa ensures that these restless dead are returned to the grave. Jadain is a young priestess of Pharasma, goddess of death. She is struggling with the dictates of her religion as well as what she sees as the will of her goddess. She is confronted by zealots of all stripes while she wends her way through the labyrinthine paths of power in her church. Larsa is sent to investigate the mysterious happenings to a noblewoman whom had lived at the outskirts of the city and had been found incoherent on the road into town. Her investigations at the manor house uncover a slew of vampire spawn and the head of a servitor of her grandfather, whom rules the undercity. She also discovers a painting in the home that looks suspiciously just like her. Her grandfather and the nobles she represents would like to discover the cause of this atrocity. This leads Larsa to the asylum that houses the poor noble woman. Jadain is heard counseling a penitent in the church and chided for her softness on the faithful by the high exorcist of the faith. To test her faith, he takes her to the asylum to remove an unquiet spirit that is plaguing a cell. Instead of assisting her in this task, Jadain is left to fend for herself against the undead and is not entirely up to the task. In a fit of pique, the high exorcist leaves her at the asylum to ponder her failure and await what fate has to offer. Luckily fate has Larsa in store for Jadain. Larsa arrives at the asylum to interview the lone survivor of the assault on the manor house and requests aid in her interview. The director of the asylum allows Jadain to assist Larsa in her interview and is there when the poor woman mistakes Larsa for her sister, Ailson Kindler. The mystery deepens as we learn that Ms. Kindler is a much-lauded member of the Pathfinder Society. She created a name for herself by finding and destroying the monsters that haunted Ustalav. The asylum had records in regards to her health and the head of the asylum had become privy to the knowledge that a fiend from Kindler’s past sought to do her harm. The good doctor requests that the Larsa investigate the connection between the patient and Ms. Kindler and deliver his warning in the process. Some of the information necessary to the investigation is stored within the records of Jadain’s church so her place on this adventure is sealed. It is discovered through a discussion with Considine, a vampire sired by Larsa’s father, that the trouble being caused is from their shared progenitor. This adventure is now sealed and the hunt for the father that abandoned Larsa and fomented rebellion among the vampire is begun. Schneider has done an excellent job of capturing a gothic tale of horror and combining it with the action and adventure one would expect from Pathfinder. There are points in the narrative where the dread builds slowly and quietly to reveal a horror that is not worth facing head on and there are moments where our heroine’s fight for survival is fast paced and filled with sword-swinging, spell-slinging action. Schneider has an excellent sense of timing for using each thing in this story. There are a few things that put this book over the top for me. I love that the two main characters in this book are women. It is not often that I have seen tie-in fiction for a game where the protagonists are female. Both are well-rounded characters that are struggling to find their place in Golarion. I love how we get to get glimpses of how the world works and the ways that these two unique women do not fit in. Watching them struggle with the desire to fit in and being comfortable as themselves was fun. I also loved the addition of Considine, Larsa’s vampiric brother. He is a villain but he is allowed to be a character with wants, needs, and motivations which makes him relatable. On top of that, he is also allowed to be a gay vampire that actually cares for one of his thralls and we get to see the consequences of that loss. Finally, I really enjoyed the glimpses that Schneider gives us into the religion of Pharasma and the country of Ustalav. I am a complete geek for world-building and this book plays into that. Larsa’s story both past and present provides an excellent look at how the ruling class of Ustalav works currently as well as what had happened to this country in the recent past. She also provides an excellent lens through which to view the capital city and it’s accord with the vampires that hide beneath it’s surface. Jadain provides the same service for Pharasma. Every fantasy world seems to have a god or goddess of death. These deities are not often discussed but tend to play a part in larger stories though. Jadain shows how the personal faith works in Golarion as well as how this gnostic could be interpreted and affect the religion as a whole. 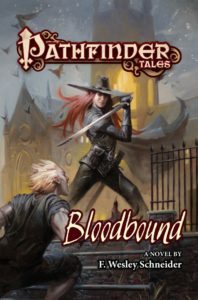 Pathfinder Tales: Bloodbound is definitely four bear paws out of four. It gives gothic horror with action adventure without ever dropping a beat. It has two wonderful heroines that I hope to see more of and a villain that both is both a monster and more than that. A book well worth your time and money. This was the second year that I have attended Big Bad Con. It was, like last year, an excellent experience. As I was leaving the convention this year, I was contemplating how to talk about my experience. My feeling about this convention are complex which made jumping right in a bit difficult. Big Bad Con is both a convention and an experience and I was torn on how best to present this. I’ve tossed out several ideas while I was processing everything and decided to go with talking about it as a convention, as an experience, and as a learning moment. 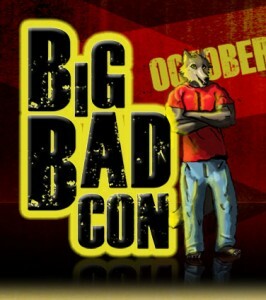 Let’s start with looking at Big Bad Con as a convention. From a high level perspective, Big Bad Con functions like most conventions. It has a period when you can buy your badge online, a time period when you can sign up for games, and then the time period when everything has to take place at the convention itself. Big Bad Con stands out from ordinary conventions in many different ways. The first major difference is that it is centered around charities. The convention supports a local food bank as well as Doctors without Borders. In further pursuit of this charitable outlook, Big Bad Con has become a 501(c)3 organization. This charitable focus starts the convention off in the service to others and this feeling is carried through to everything else at the convention. The next way that it stands out for me as a convention is the staggered way it allows for game sign-ups. I am most familiar with GenCon which has a lottery style game registration system. You create a list of games you want to play in and submit them when registration opens. What you get is determined by your place in line. thus, some never get any games they want. Big Bad Con’s staggered roll-out of sign-ups allows everyone to get two games in the first session and reserves the teen games for age appropriate attendees. The second wave allows everyone to sign up for two more games. The third wave allows everyone to register for whatever you like. I love this idea! It ensures that you should be able to get at least two games that you have your heart set on. Big Bad Con also stands out for being an inclusive convention that strives to make everyone welcome. It has a community standards page on the convention website. These same standards and the no harassment policy were posted as a large banner fight in front of the registration desk for all to see. In addition to this, there were pronoun ribbons available at the registration desk to make all feel comfortable when speaking with each others. The convention also designed a social metagame for the convention in the vein of PbtA games. Each play book rewarded convention-goers with experience for getting to know someone, checking in on people, working to make others feel comfortable, and so on. I also love how Big Bad Con has private game rooms. If you have been to a game convention, you will have been put into a large room filled with tables. Your game will be competing with the conversations of several other games which creates a wall of noise that can be distracting to downright alienating. The private game rooms create the intimate experience of gaming at home at a convention. You have your own space in which to create a game unhindered by the other games around you. This makes the games that more fun without having to exert all the more energy just to be heard by those at the table. Big Bad Con also crafts a wonderful experience. It is a small intimate convention where you have the ability to get to know the people that you are gaming with. There is this feeling of camaraderie that seems to permeate every activity that happens there. I was volunteering this year and worked at Games on Demand and was granted a brief glance behind the curtain as well. As I expected there was plenty of frenetic energy as the staff and other volunteers worked to get things up and running as well as making sure that everyone had a good time. Despite this elevated anxiety and activity level, everyone remained friendly and caring. Sean took the time to check back with me on one of my shifts to ensure that he hadn’t left me feeling overwhelmed or unneeded. This meant a lot to me. Another way this stood out for me was on Thursday night before the convention began. I had went to Endgame Oakland with a friend and we had returned to the convention hotel to find many games taking place. We did not make it far into the lobby before someone came up to invite to join in a game that was taking place. Being a shy person, It was amazing to be asked to participate in a game. I ended up getting to play in a game of Ravenloft using the Saga system with Renee Knipe. It was a great time and wonderful to get to talk to her about projects she was working on as well as getting to game with her. These were small moments in the convention but they loomed large for me. They had a large impact as I am a shy individual and always worried that my presence is not wanted or appreciated so I hang back. It was nice to feel included, and accepted. Big Bad Con also provided me with a teachable moment. At this convention, I see groups that get together and play games. These groups are diverse and accepting of others despite their differences. There are designers here that work to create games that also have this same aim. It makes me want to see this community to the greater hobby as a whole. It made me take a step back to look at the tables that I play at both at the convention and at home and view them more objectively. I asked myself a question, would I feel comfortable bringing someone new to this game? Would the new person feel welcome at the table? At Big Bad Con, the answer was yes. The GM’s running the games took the time to be welcoming and open to other ideas, used lines & veils, and the X card to create a more welcoming environment. I could not say the same for all of my home groups. big Bad Con gave me the impetus to try and change my home games to be more welcoming and inclusive. It also made me want to try and find a way to make the hobby as a whole more welcoming to those of us that don’t fit the stereotypical gamer mold. Big Bad Con 2016 was once again a rousing success from my perspective. I had a wonderful time with old friends and met new people whom I hope to call friends soon. I was able to play in fun games with a great groups of people. I was able to play games that I don’t get to play at home. I was able to help out at the convention which made me feel like a part of the community. Big Bad Con is definitely a convention you need to get to at least once if you are a gamer and want to feel welcome and include. Four bear paws out of four from this Geek Bear! 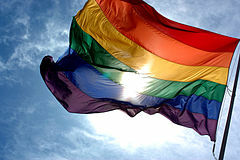 October 11th is the day that has been chosen for National Coming Out day. You may wonder why there is even a National Coming Out day when it seems that things are coming up Milhouse for those of us in the LGBT community? It is because we still live in a society where those in the LGBT community are marginalized and looked down upon. This is changing but it is slow and filled with terrible extinction bursts that leave teenagers homeless, adults beaten, and transgendered people murdered. Until this changes, there will be a need to acknowledge that we have to come out and that it isn’t just once that we have to do this. We do this all the time and how difficult this is depends on the individual and the time and place. This will be my fourth year out of the closet. I am glad I came out and regret that it took me so long to make the choice. 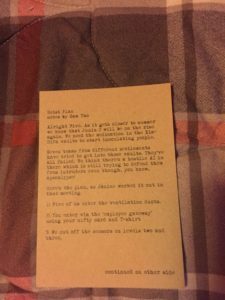 So, I thought I would take a moment and share my story here on Geek Bear’s Den so that you would understand a bit about this Geek Bear and hopefully encourage others in coming out. The impetus to come out was pushed by my own health issues four years ago. I was at 325 lbs. I had diabetes, high blood pressure, and high cholesterol. I was on over eight pills for all of these conditions. I went in for a quarterly check up and was at the point that I was going to be put on insulin. I sat down and put in some time with analyzing what was keeping me in that place. I knew I didn’t want to be on shots and that there was something preventing me from improving my situation. I can be very myopic and it was no more evident than at this moment. I had used weight and health issues as a convenient way to hide that I was gay from myself and, I thought, from others. It took a bit of time to come to this level of self-acceptance. A person incorporates the hatred they see for themselves out in society and this makes them not accept who they are and. After this epiphany, I began the work to take better care of myself as well as accept this part of me that I had kept compartmentalized and hidden away. It was like a weight was lifted and I could breathe. This was back in 2012. I didn’t really tell anyone that was close to me at the time. I did go to the seminar Queer as a 3 Sided Die at GenCon and began using the apps like Growlr to try and meet people. It was not until 2013 that I decided to begin telling my friends and family. I had a plan. The objective was to start with the people that I felt safest telling and work my way to the ones that I felt the least safest. I would tell them over dinner so that I was in a public space and would have a way out. All of my friends who I told were very accepting. There was no need to have gone through all of the worry that I had done and the need for an escape route ended up being effort without reason. It was a relief to come through the first round of coming out with minimal repercussions. The process of telling my parents was different. I sat them down and had the conversation about being gay. Saying their reaction to the news was different would be an understatement. My father cried and my mother said things such as “What have I done to deserve this?” “You’re going to die of AIDS!” “I can’t live with this!” They asked me to not tell my brother until they had time to process the information themselves and then told him a day later without my knowledge. I came out the experience rather well. I still had a place to work, to live, and, despite their reaction, I still had my family. There are many that are not so lucky. In the end, I only ended up losing three friends coming out. It was not easy accepting it but I realized that I was better off without them. I also still learn about reactions to my coming out as people feel more comfortable sharing their initial reactions now or share the reactions of others with me now that time has passed. These revelations though are bit rough to take when people are revealed to have been uncomfortable around me or disgusted and then they got over it. On this National Coming Out Day, I hope that those out there that are thinking about coming out are lucky enough to have friends that will listen to them when they let go of the fear and share the truth about themselves. I hope that they are lucky enough to be safe and supported when they take this big step. I also hope those that fear this action understand that this is okay as well. I understand that fear and know how difficult it is to overcome. I hope that they keep working on themselves so that they can overcome the fear soon enough to enjoy their life and not succumb to the fear and pain that living in the shadows can bring. If you are still struggling with the idea of coming out, Check out the Human Right’s Campaign’s Resource Guide to Coming Out. It is a very helpful guide. I am not the fastest nor can I run the farthest, but I am still a runner. One of my favorite apps for running is Zombies, Run! I did a review of the app earlier and you can find it here. One of the recent trends for runners has been the advent of the virtual race. They allow runners that may be self-conscious about their speed, pacing, or the sheer number of people that show up at 5 and 10K races participate. These races very on the amount of tracking that they provide for your participation and what you receive for the money you put into the event. I was interested in the idea but put off participating until recently. 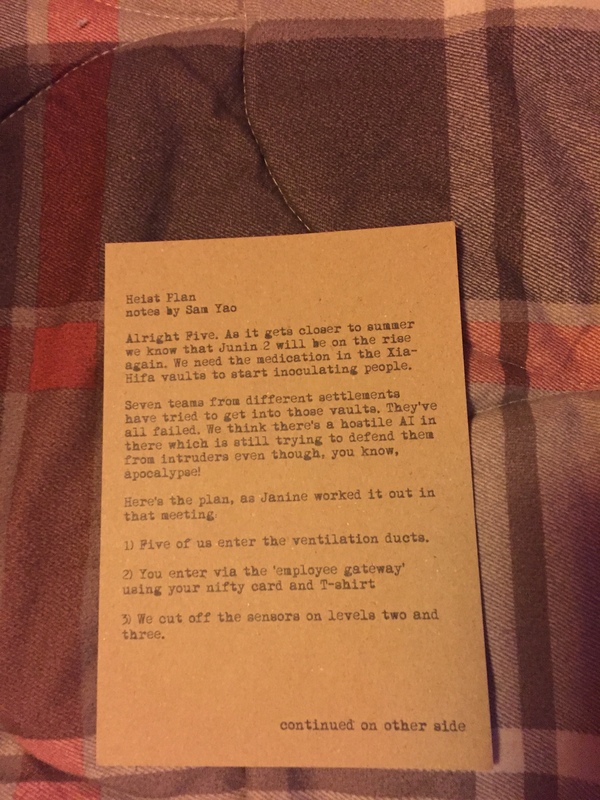 The note that comes in the race package from Sam Yao. I love the Zombies, Run! app as it provides and excellent story line mixed with music for any length of run. I saw that they had done two virtual races and saw that both had been well received by the community. When I received the notice on the app about the fall 2016 race, I finally decided to take the leap and give it a try. The price for the fall 2016 Virtual Race was not prohibitive and is inline with the prices for a normal 5 to 10K run. The basic race was $35 and this gets a runner the race, training missions, access to the race forums, a medal, bib, badge and certificate. The next price point is $55 and includes a tech shirt. The third tier of pricing is $65 and includes a long sleeve pro-spec shirt with zip collar. There are further tiers which allow for multiple race entries at multiple levels. I chose the third tier as I wanted the long sleeve shirt to see what it’s quality was like. The shirt for the mission. I have to say that I am impressed. The forums that they provide for the race are filled with people that are discussing the story line that is running through the game. They are also supportive of each other in their quest to become more physically fit and active. This type of community is an excellent addition to a race as it helps one build up to the race as well as providing a community in which to participate for an activity that is normally done alone. The first training mission dropped the same day that I received my race packet. I complete the mission before I opened it. The training mission dovetails nicely with the items that you receive in the package and makes the race feel more immersive. I don’t want to spoil it but was cool to open up the envelope and to see the spoils of the training run there before me! The long sleeve shirt is a of excellent quality. 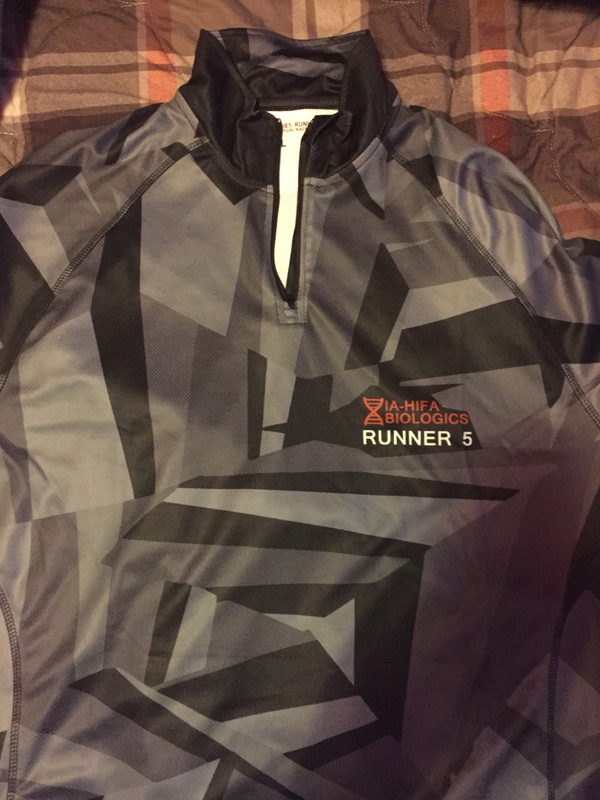 I wore it on a mission one cool evening at it kept me warm for the beginning of the run and did an excellent job of wicking the sweat away after I had been running for a bit. I especially like the thumb holes in the cuffs as they kept my hands warmer and less sweaty to make it easier to access my phone during the run. I know that they sounds small but it is really helpful. All in all, I am very impressed with the Zombies, Run! virtual race. What you get for the money is very nice and the sense of community that builds around the race is a great thing that I wish every race had. 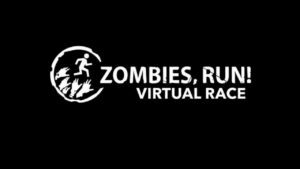 If you are wanting to try out a virtual race, I have to say that you should give the Zombies, Run! virtual race a try. An excellent story line, wonder props, and a great community that makes it well worth the money. Four bear paws out of Four for the 2016 Fall Virtual Race from Zombies, Run! I have talked about the Gallow and Ragged series before. I have reviewed both Trailer Park Fae and Roadside Magic. 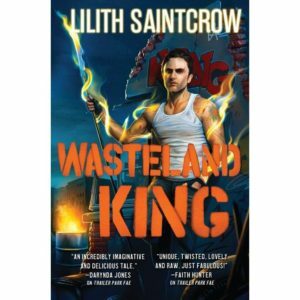 Wasteland King brings the trilogy to it’s conclusion. 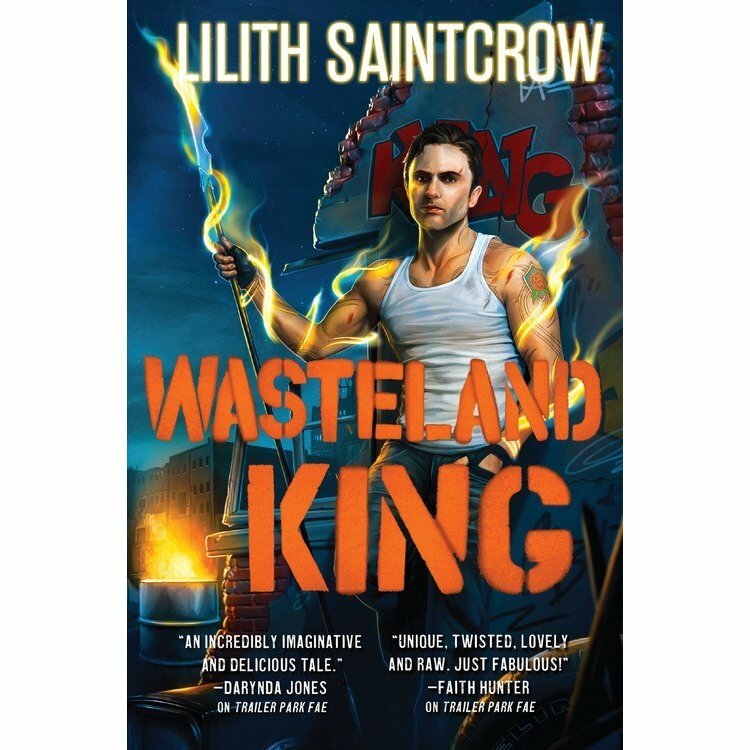 Wasteland King begins where the Roadside Magic left off. Robin and Gallow are struggling to survive while trapped between two worlds. They are both half-blooded fae whom are capable of living in this reality as well as the more real sideways realms. The machinations of the two courts have put in motion a tsunami of violence that awaits the declaration of a time and place to come crashing in. Robin and Gallow each move through the story struggling with their own pasts as well as attempting to envision a future beyond simply surviving the next encounter. Gallow, in his battle to ensure the safety of Robin, his dead wife’s sister, looks behind for the future. He is caught in his head as he tries to determine analyze the feelings he has for Robin. Bundled with this are his own self recriminations about his relationship with Daisy and how he had failed her. His plans are laser focused and leave little room for his own survival. Robin looks to the future, though through a glass darkly. She seeks revenge on the Queen of Summer for the death of a child, the manipulation of her life, and the torture undergone in the white tower. This vision in not all consuming as survival is the main barrier to her success and her resources are put into this endeavor. Saintcrow continues her exploration of the Fae from those marginalized by the court. Instead of the grand pomp and circumstance trotted out in fairy tales, the reader is given the view from the cheap seats. The beauty of these nigh immortal creatures is shown to be the illusion that hides a deeper darkness that is smoothed over in more modern stories of faeries. Instead of tinkerbell, the pixies are revealed to be ephemeral creatures of light and magic with sharp teeth and pricking knives. Robin gives some perspective on how they are always around those of great magic yet none deign to take the time to notice them let alone understand these tiny beings. I love tales of the Fae and find Saintcrow’s perspective on them and their society refreshing. Robin is my favorite character of the book. She is called Robin Ragged by puck and others throughout the series. Her status a half-blood is brought up and thrown in her face at every turn. Her use to the Queen of Summer is in her ability to perform real-making which is a magical ability that is both rare and much sought after. Despite suffering these many slings and arrows and lacking the strength at arms displayer by Gallow, she still takes a stand against Summer. Despite the forces arrayed against her, she never truly gives up. Robin will struggle with finding the path forward and succumb to the crushing doubt that comes with such grand foes yet still get up and pull herself forward. In Wasteland King, I loved watching Robin struggle with her feelings surrounding both Gallow and Wren. Her distrust of other Fae runs deep and yet these two have both strived to protect her and have failed at this task as well. As she push forward with her desire to have vengeance on Summer, these thoughts serve as both a distraction and goad. Her concern for their motives helps her overlook the insurmountable odds she faces. These same odds give her the ability to work through her own issues and see Gallow and Wren’s actions as something other than crass manipulations for their own ends. I also love that Saintcrow continues interlacing the story with vignettes about how the random mortals whose paths cross with those of the fae are affected. on the one hand, we are given the story of the truck driver who stops to give Wren a ride after he was deposited in the desert far from anything civilized. The journey is not long but the conversation is pleasant and provides a bit of perspective to the assassin about the nature of home. This chance encounter and bit of kindness to a fae in needs leads our trucker to find a more permanent home that allows him to find a deeper happiness. In stark relief is the story of the child and the oak tree. Robin is fleeing pursuit and happens upon a piece of the sideways realms anchored in the desert by a majestic oak. Here she finds a bit of solace and rest. A poor girl in a nearby trailer park leaves her home to find food which is not present their due to her mother and her friend’s drug habits. In her wanderings, the child is led to this same island in the more-than-real. She is brought in by the image of the sleeping fae and beauty of the tableau before her. She seeks shelter as well amongst the roots of the giant tree and falls to sleep there on the earth and surrounded by pixies. When Robin awakens, our view of the scene changes to show the skull of a child sinking into the loam surrounding the roots of the tree. I love Wasteland King. The characters are so well done. From Robin and Gallow down to those that only are give a few brief moments on the stage. They are given given a depth that is welcome in the genre of urban fantasy. Saintcrow is a master of pacing and showcases her abilities in this realm with Wasteland King. The story feels like a boulder rolling down hill. The pace builds and builds while still allowing the characters time to breathe and grow. Despite the path of destruction being foreshadowed, there are surprises aplenty in both the journey and the final battle. Wasteland King gets four bear paws out of four. It is a wonderful cap to this story. It only makes me sad that I will not longer get stories of Robin, Gallow and Wren. This is a world I would like to revisit and hope that we will be given this opportunity. Definitely a book and a series you should try.